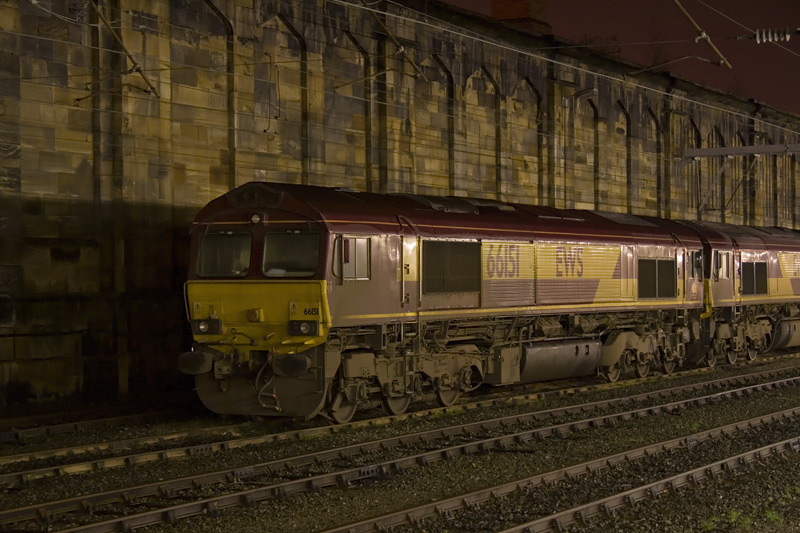 EWS Class 66 - 66151 is pictured stabled at Carlisle station on the late evening of Thu 28th Dec 2006 at 23:02. 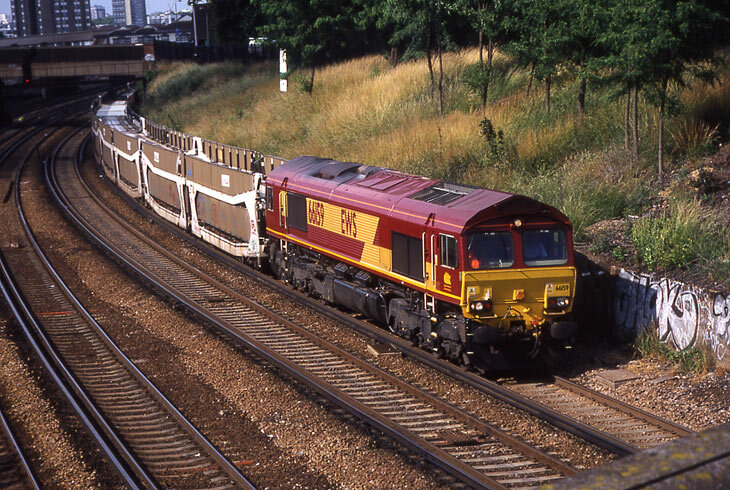 66159 passing through the cutting at Clapham Junction on June 23, 2003 with an empty train of car transporters. 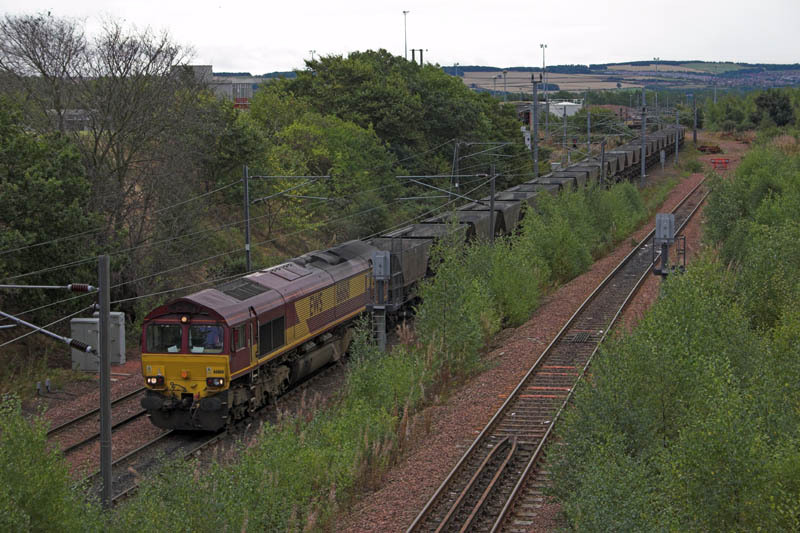 EWS Class 66, No: 66160, departs from Millerhill with an unidentified empty MGR/Coal working on Tue 13th September 2005 at 11:22. 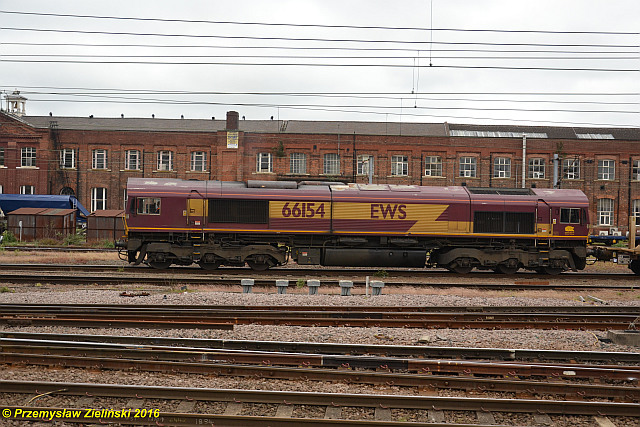 EWS diesel loco class 66 66162 stands at Doncaster station with a freight train and is static. 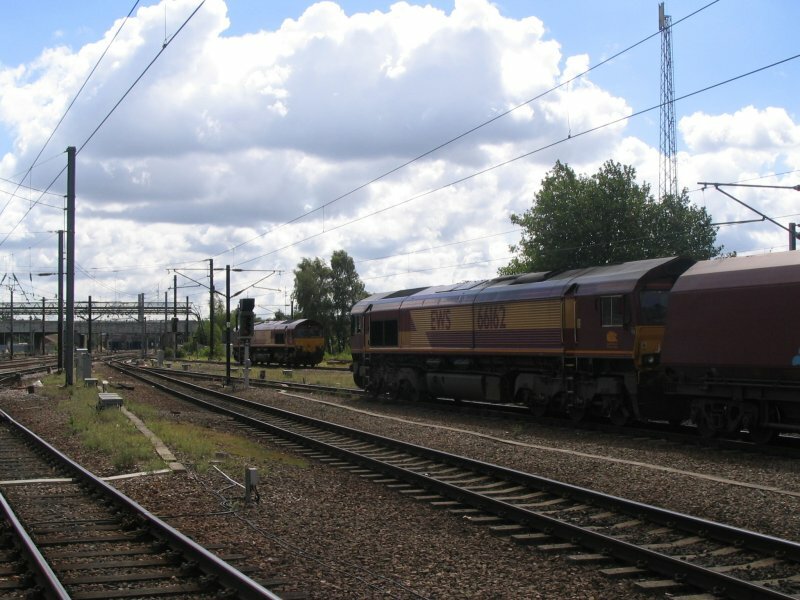 There is another class 66 locomotive in the distance. 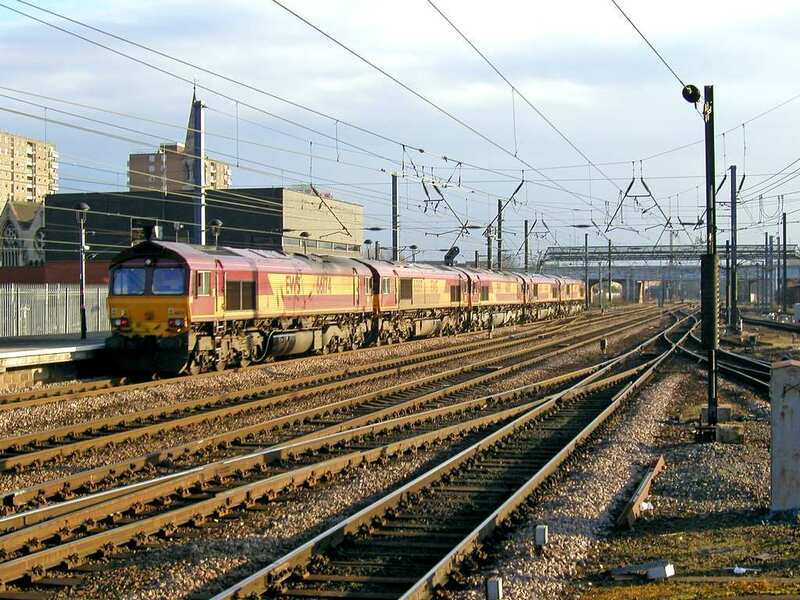 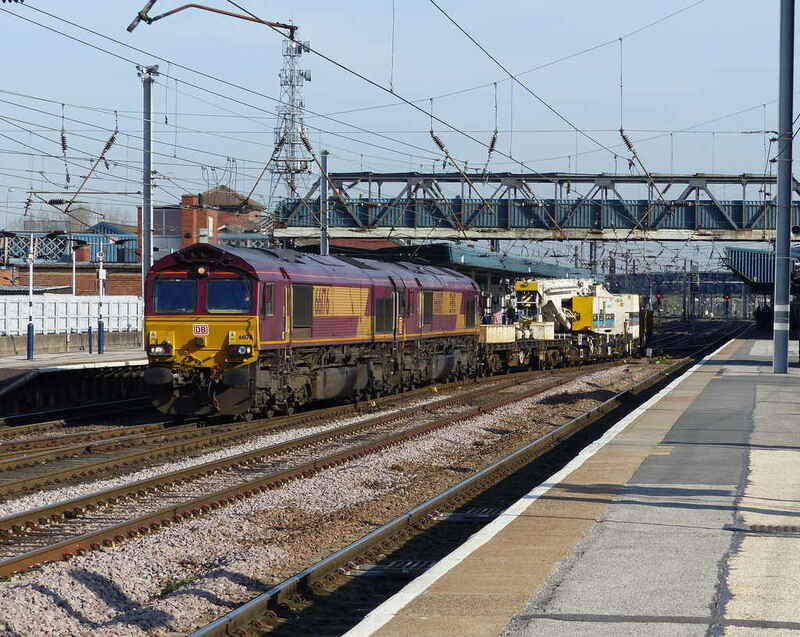 Another picture of an EWS diesel loco class 66 66162 standing at Doncaster station with a freight train and is static. 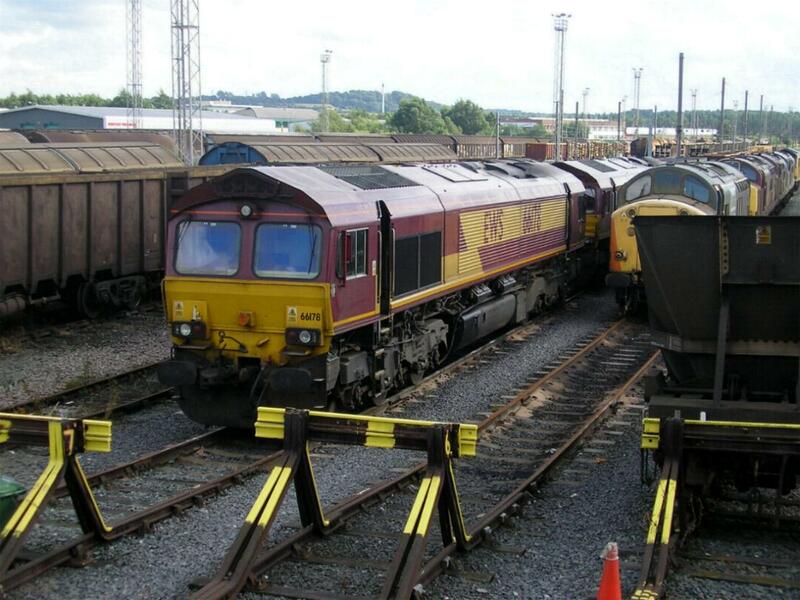 There is still the other class 66 in the distance. 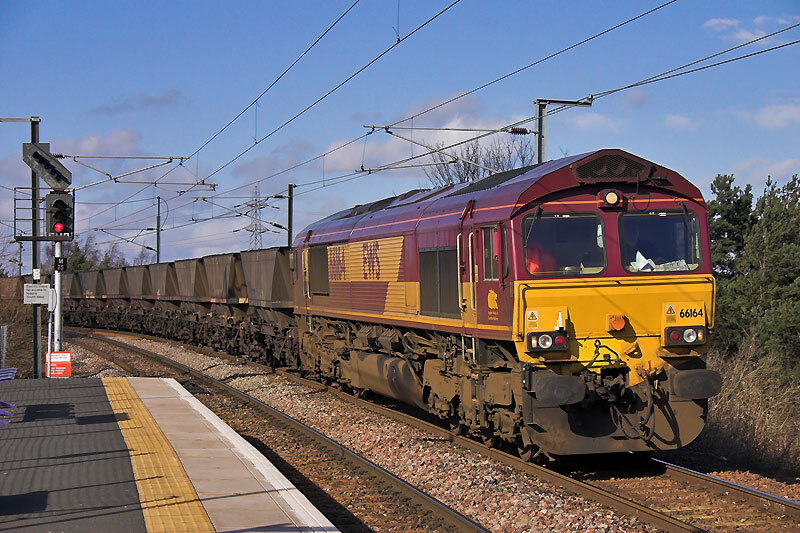 EWS Class 66 - 66164 passes through Newcraighall station at the head of a rake of HAA 'Coal Hoppers' on Tue 6th Mar 2007 at 13:33. 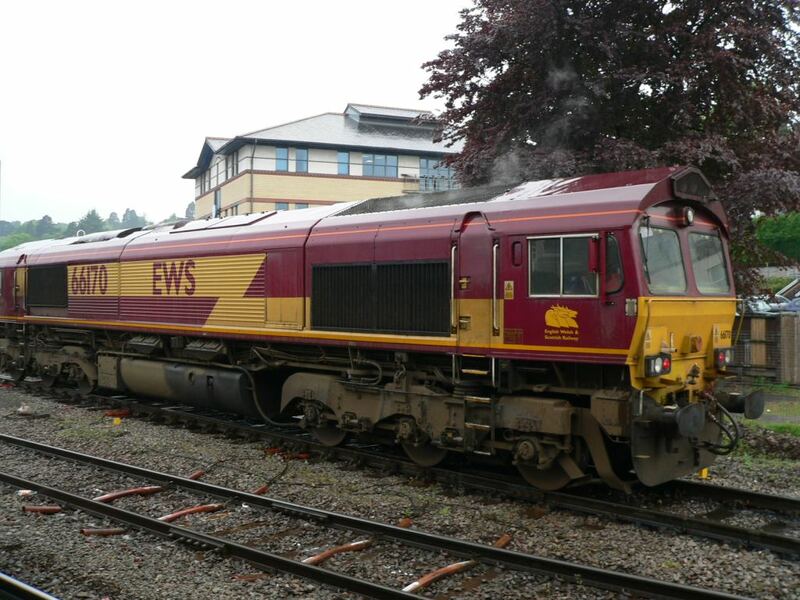 EWS Class 66 diesel locomotive 66170 exiting the Godfrey Road stabling point adjacent to Newport station in South Wales. 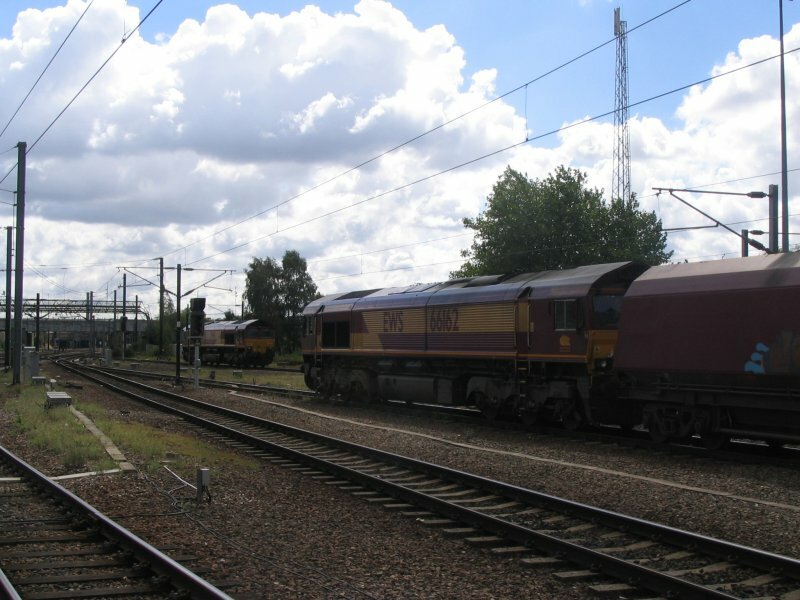 In the background are 37411 in BR green livery and Class 60 60092 in Railfreight grey livery. 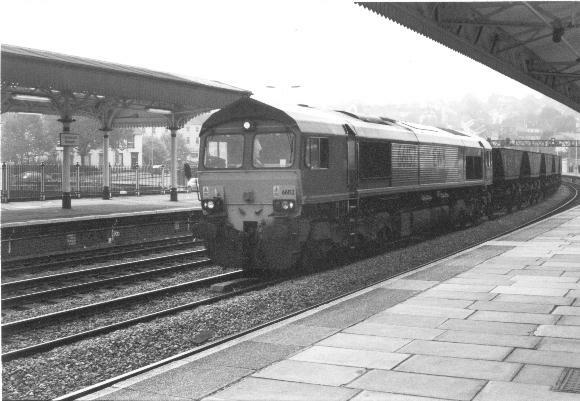 EWS Class 66 diesel locomotive 66170 exiting the Godfrey Road stabling point adjacent to Newport station in South Wales. 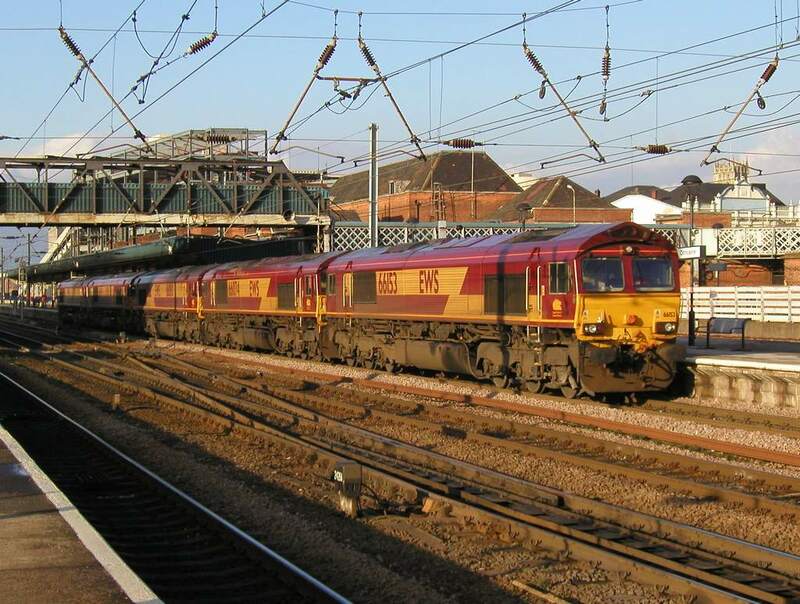 EWS 66174 at Doncaster station on 05/03/05. 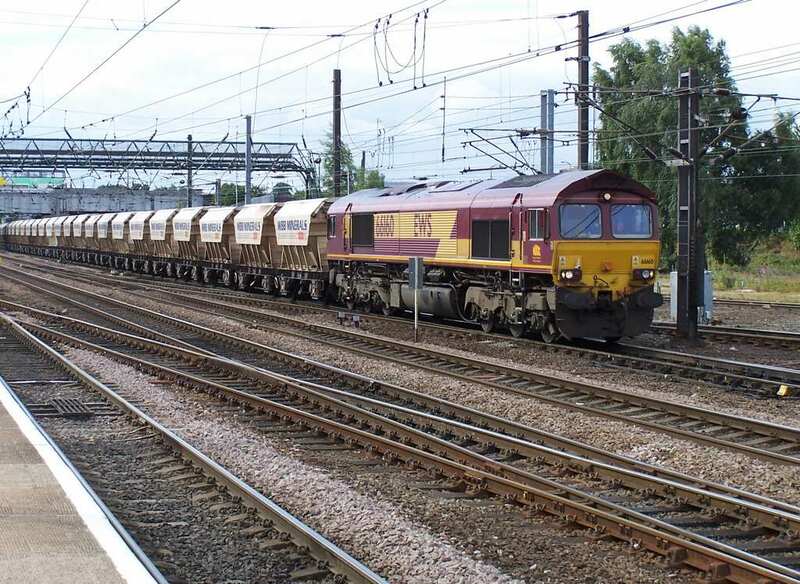 66178 stabled at Warrington - 05/08/05. 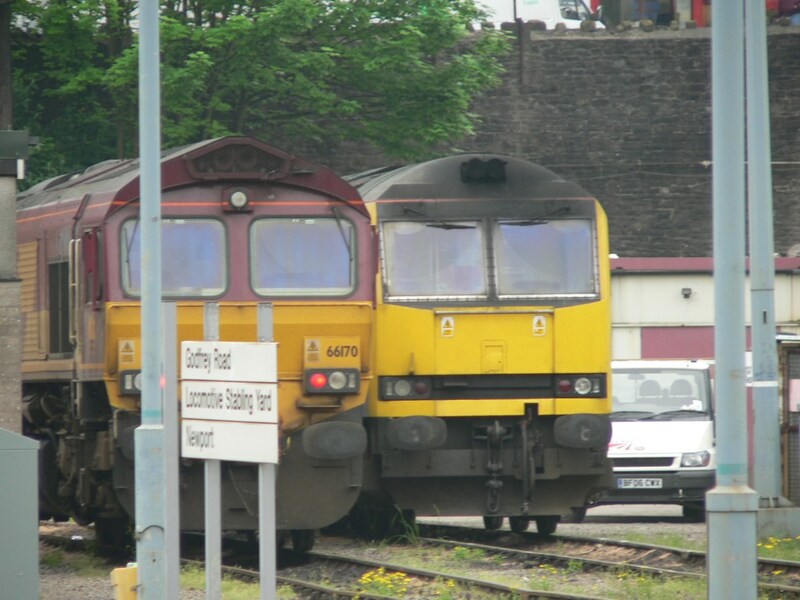 EWS Class 66 diesel locomotive 66167 hauls a freight train westbound towards Newport (South Wales) station, photographed from a passing eastbound HST. 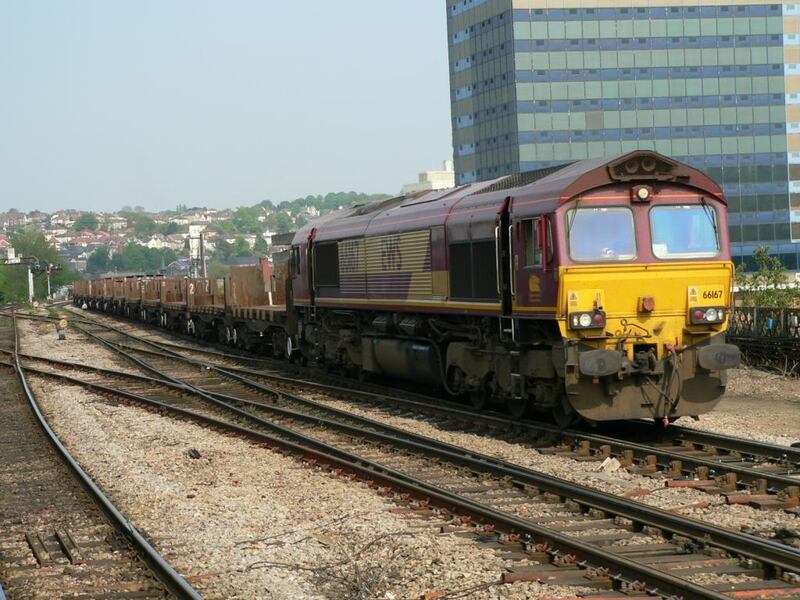 EWS Class 66 diesel locomotive 66170 heads northbound through Bristol Temple Meads with a load of cars from Portbury Dock. 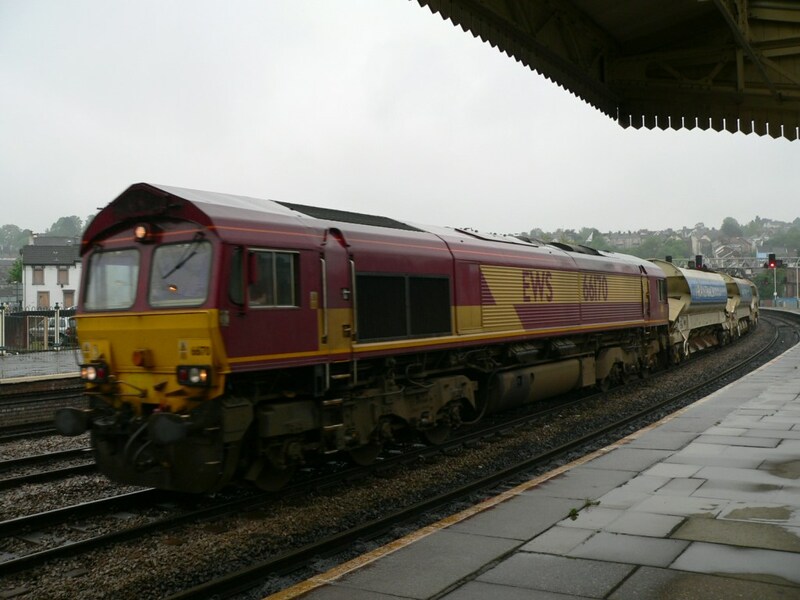 EWS Class 66 diesel locomotive 66170 hauls a rake of five Railtrack-liveried wagons eastbound through the pouring rain at Newport in South Wales. 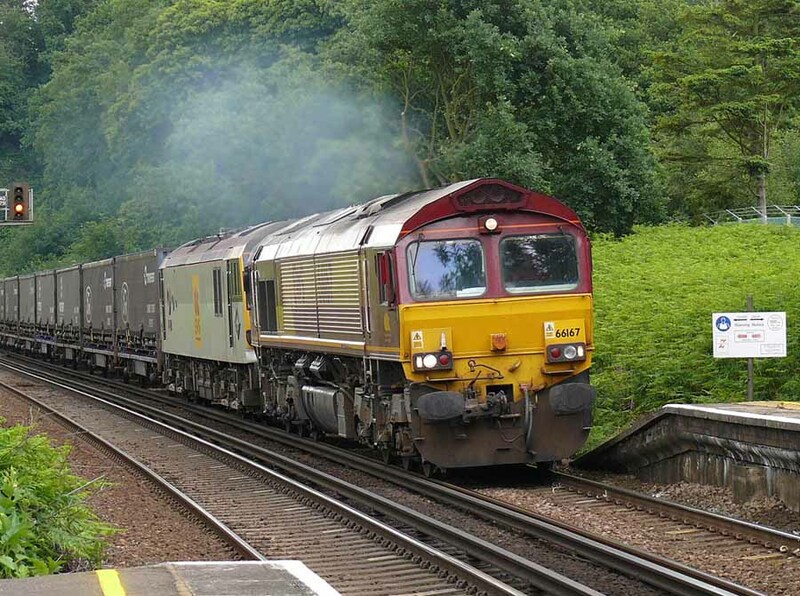 EWS Class 66 diesel locomotive 66178 approaches Filton Abbey Wood station with a short rake of empty freight wagons on a service bound for either South Wales or Avonmouth via Filton junction. 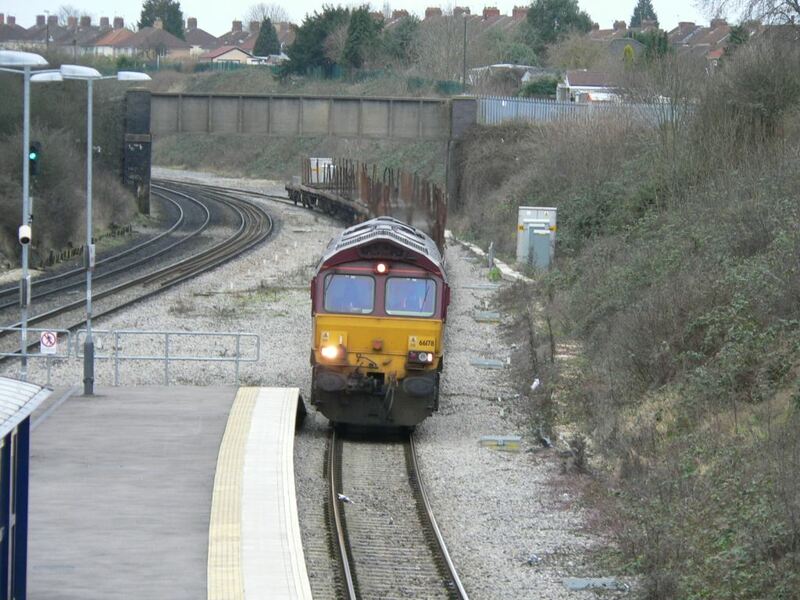 EWS Class 66 diesel locomotive 66178 hauls a short rake of empty freight wagons through Filton Abbey Wood station on a service bound for either South Wales or Avonmouth via Filton junction. 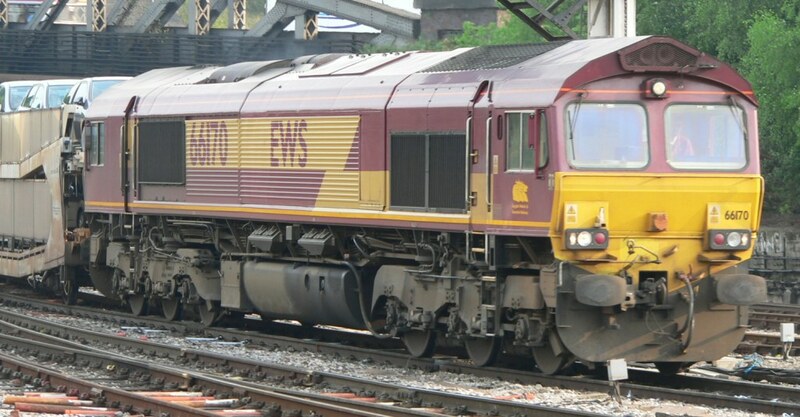 EWS Class 66 diesel locomotive 66178 hauls a short rake of empty freight wagons on a service bound for either South Wales or Avonmouth via Filton junction. 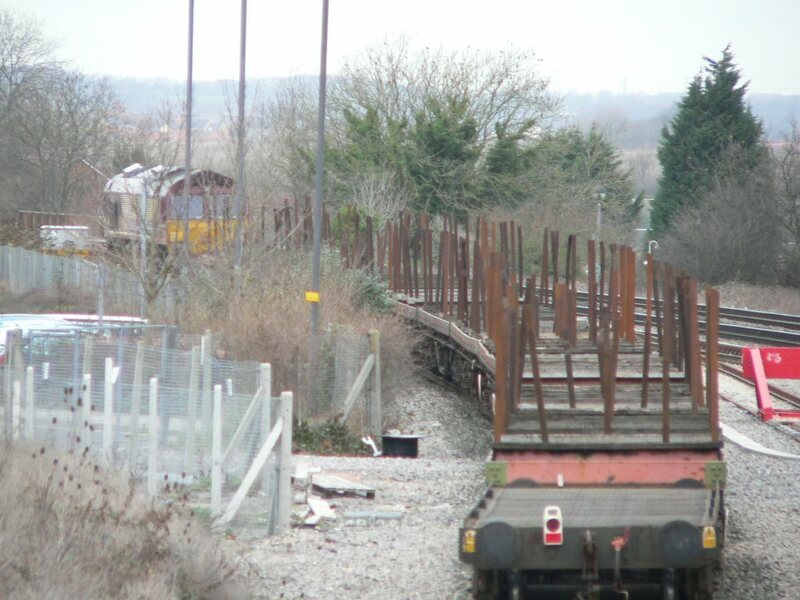 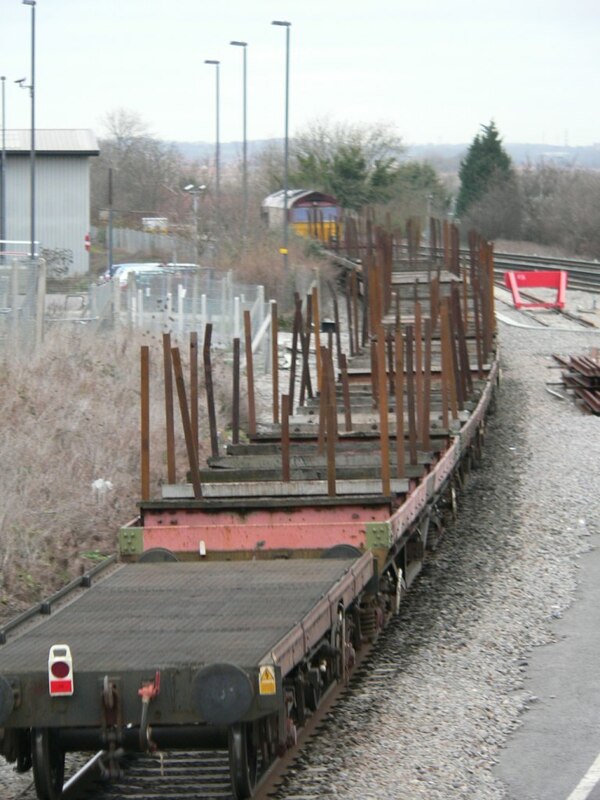 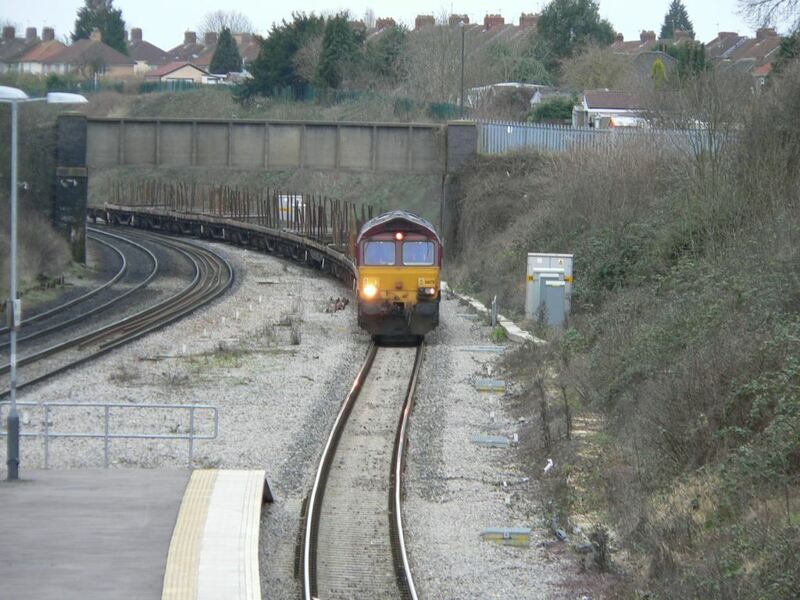 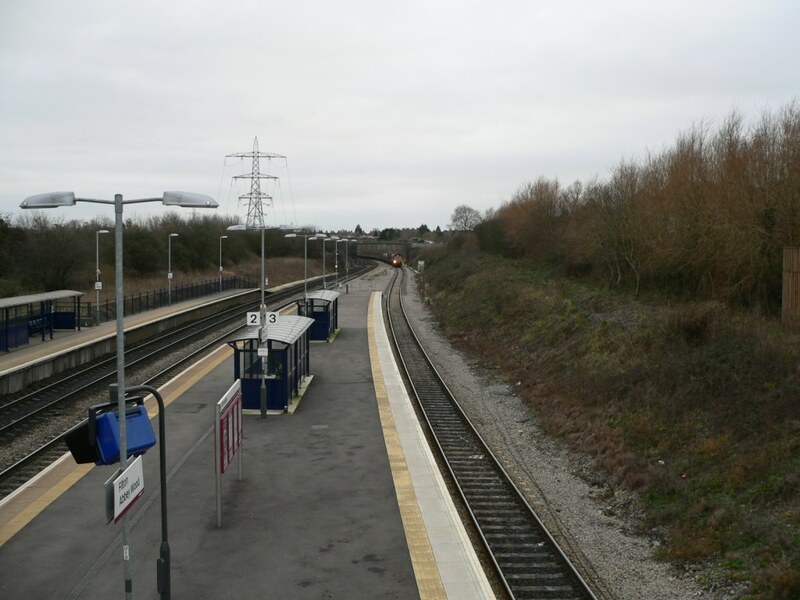 This photograph was taken from the footbridge at Filton Abbey Wood station, through which it has just passed. 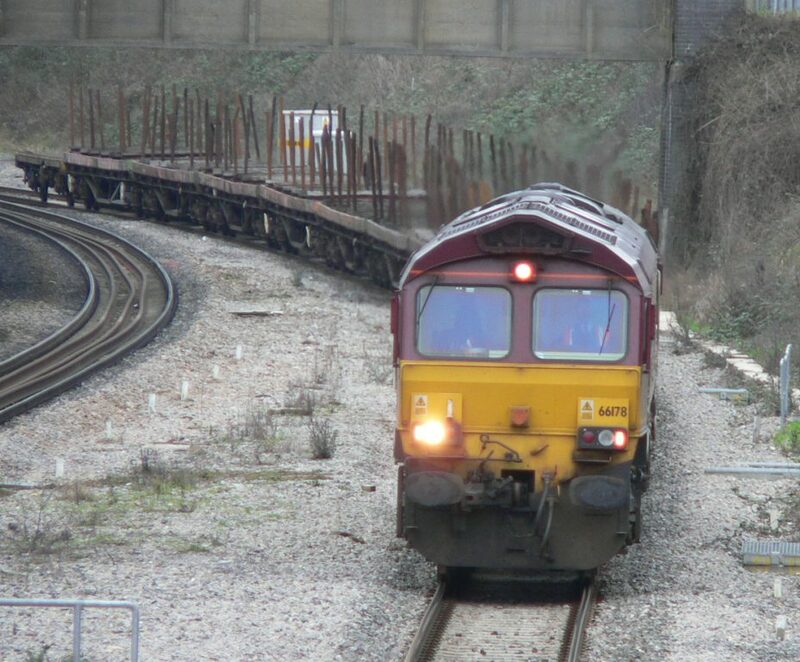 EWS 66 167 leads Class 92 "Ashford" at the head of the Ford Blue train out of Dollands Moor international frieght terminal, Folkestone. 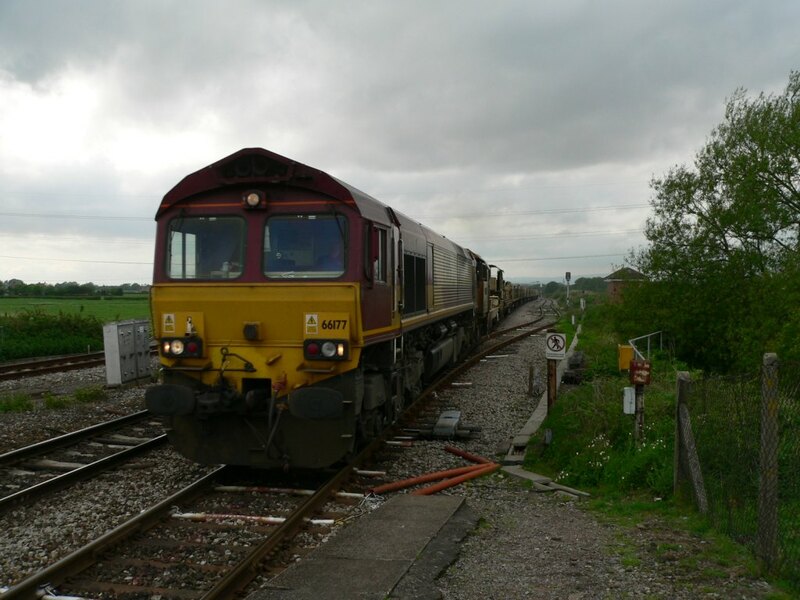 Taken at Sanding Station, Sunday 15 June, 2008. 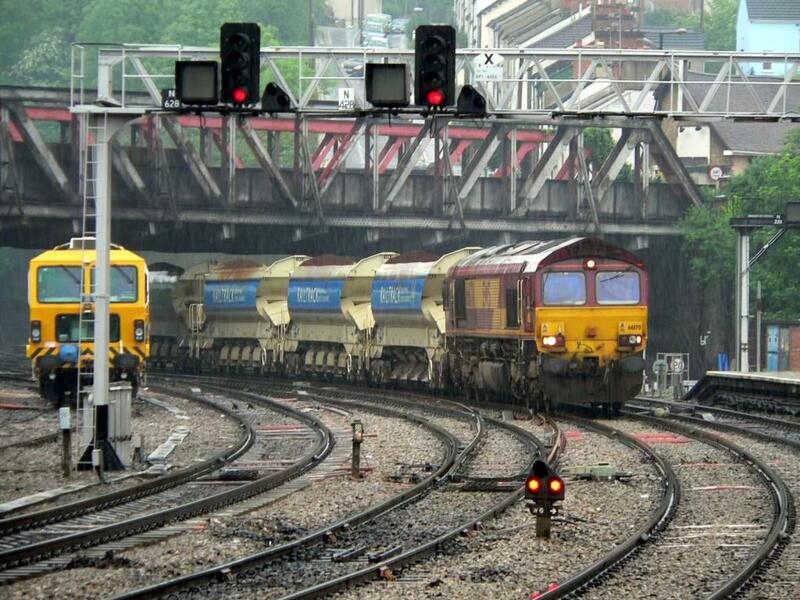 D h Thomas thomdh@hotmail. 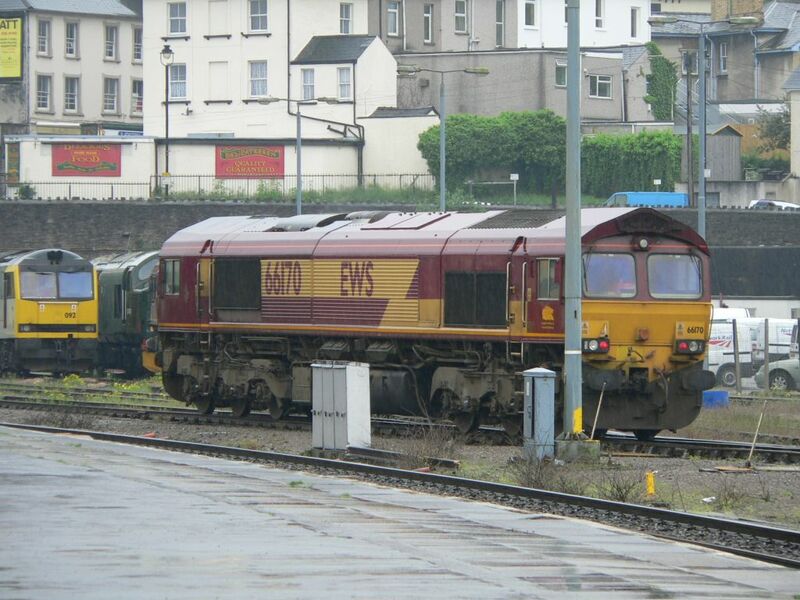 EWS disel locomotives 66170 and an unidentified Class 60 at the Godfrey Road stabling point adjacent to Newport station in South Wales. 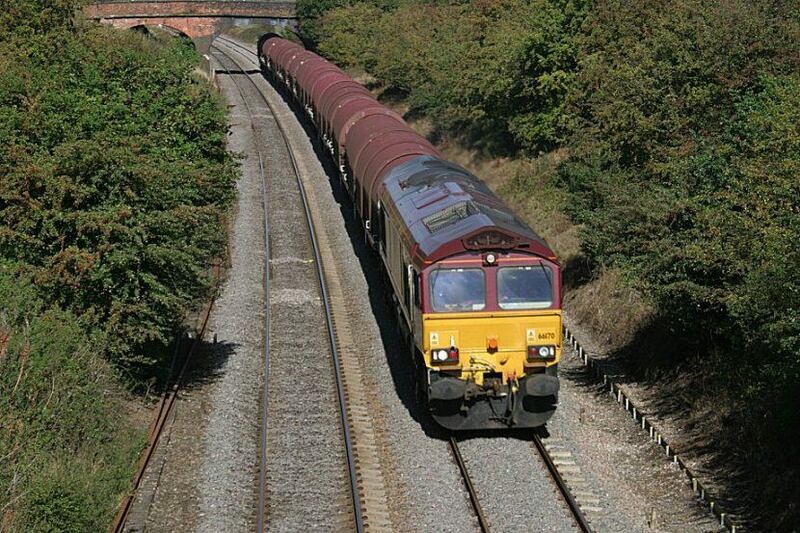 EWS Class 66 diesel locomotive 66177 hauls an eastbound freight train towards Bristol from South Wales. 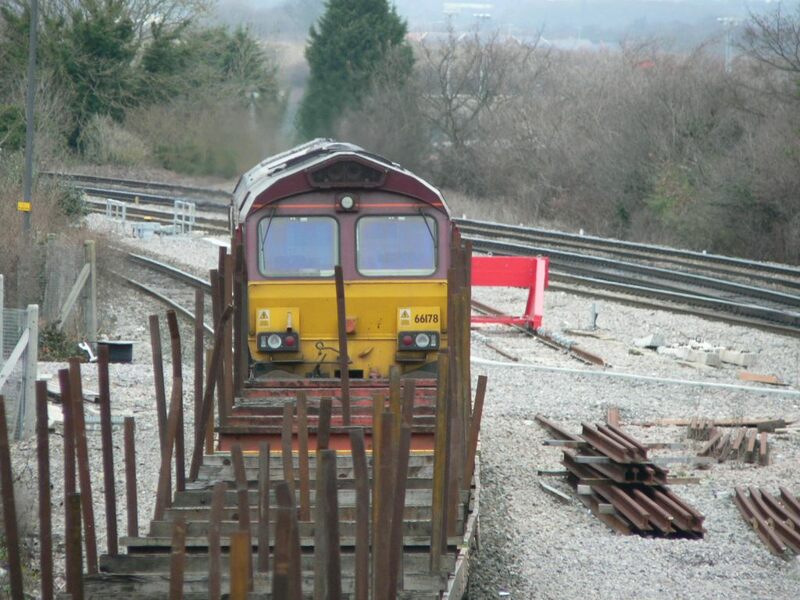 This photograph was taken immediately before the train passed through Pilning station in South Gloucestershire. 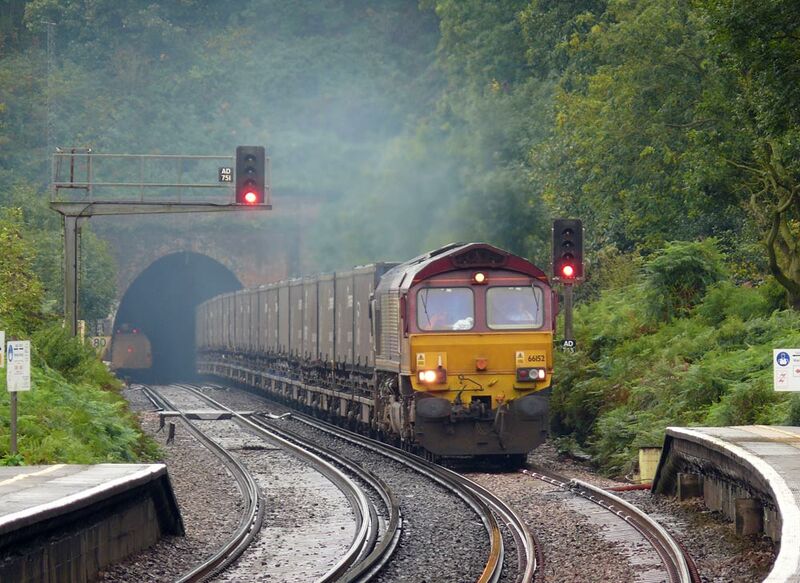 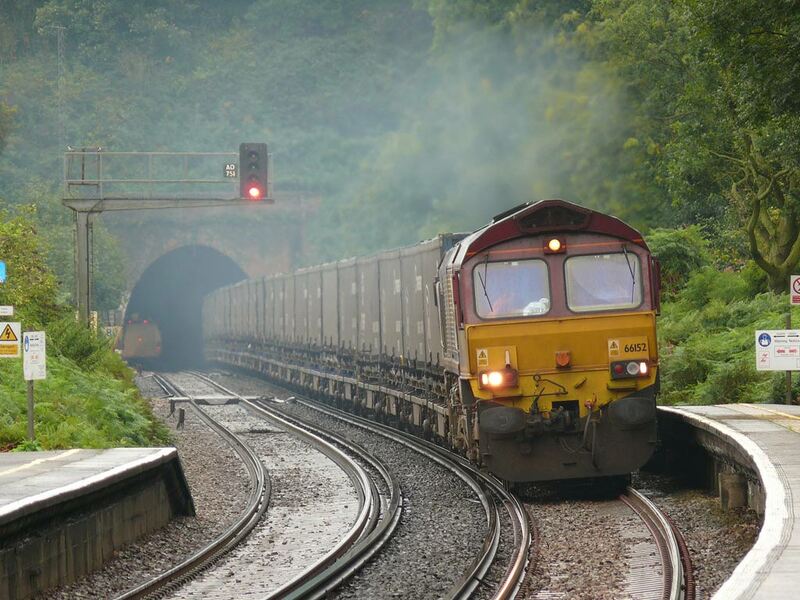 EWS 66165 is heading in an easterly direction with the evenings China Clay working. 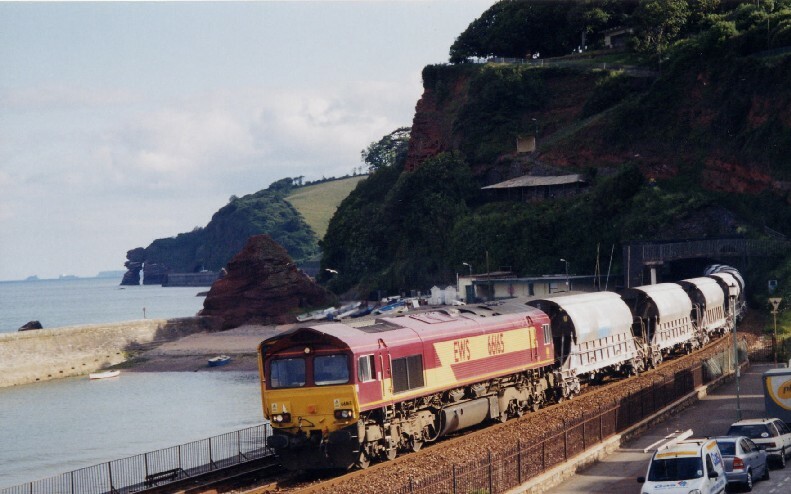 The place is Dawlish and its Friday 3rd July 2002. 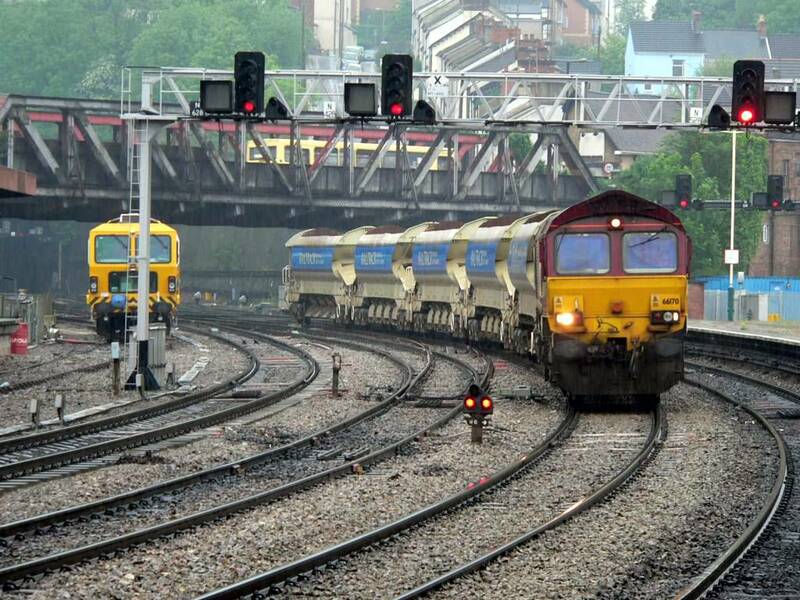 EWS Class 66 diesel loco 66221 hauls a northbound freight service northbound out of Bristol Temple Meads towards Bristol Parkway or Avonmouth, while a First Great Western HST departs towards Bath Spa with an express to London Paddington.